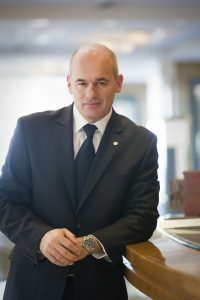 GEORGE SAGONAS is the General Manager of CEO Clubs Greece, since September 2012. George is responsible to foster and cultivate Members relationships so that they will value their membership. He is also responsible for the Partnerships of the Club. He is a valuable member of the team and since his arrival, he has contributed in the development of CEO Clubs Greece. He has deep experience in the fields of Management and Sales with 16 years of experience in the Greek Automotive Industry. He has worked in different authorized Distributor Automotive Companies in the past such as KIA MOTORS S.A as a Retail Sales Manager, in AGRIPAN S.A as an Area Sales & Network Development Manager in DAIHATSU vehicles, in KOSMOCAR S.A as an Area Sales Manager in VW vehicles and as a Brand Sales Manager in AUDI vehicles. Has experience on Dealer’s networks, coordinate and control of the national field sales, increase market share by driving sales strategic growth, outperform competition & increase of sales volume targets & profits. George is passionate in the Motorsport & Rib boats. He is also an active member & Captain of the non-profit Social Club “Aegean Seagulls” which consists of volunteer’s doctors & civilians with love for the sea and desire to help people & children travelling at vulnerable areas mainly in small Greek Islands.